Pictured: Vector Security Senior Management Team (l-r) John Taggart, Senior Director/General Manager, Vector Intelligent Solutions; Thomas Helisek, VP, Information Systems; Jeff Bates, COO; Leslie Baker, VP, Human Resources; Pam Petrow, President and CEO; Steve White, VP, New Business Development; Jeff Hoffman, VP, Finance; John Madden, VP, Authorized Dealer Division; Vince DiValerio, VP, Acquisitions; Michael Grady, Executive Vice President; Anita Ostrowski, VP, Central Station Services; Art Miller, VP, Marketing. Not pictured: Jennifer Rattigan, Sr. Contracts Counsel. 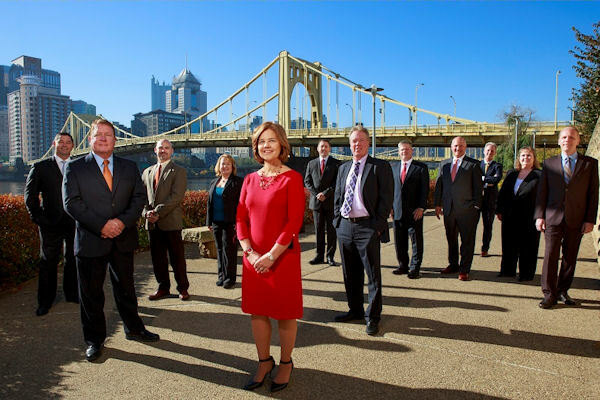 PITTSBURGH, December 03, 2015 - For the second time, Vector Security has been named SDM Magazine's Dealer of the Year. Launched in 1980, this top honor recognizes Vector Security for its innovation, use of industry best practices, and notable growth and accomplishments in the security dealer industry. Vector Security earned SDM's Dealer of the Year distinction once before in 2003. "This award is a testament to the hard work of the entire Vector Security team," said Pam Petrow, President and CEO of Vector Security. "From the corporate office to our branches to our dealers, each has served a valuable role in positioning us as a top security company." SDM's Dealer of the Year award is the magazine's highest honor, bestowed upon one deserving security company each year since 1980. To qualify, the company must be in the business of selling and installing electronic security and related systems to residential and/or non-residential markets. "This year, Vector Security's truly impressive employee-centric focus; strong commitment to the good of the security industry overall; and initiatives for standardizing and unifying its processes, procedures and programs won the company this title once again," said Karyn Hodgson, Senior Editor, SDM Magazine. 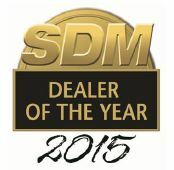 "We congratulate Vector Security on being named SDM's 2015 Dealer of the Year." ● Commitment to Revitalizing its Internal Structure: The company's One Vector initiative seeks to bring together its 30 branch locations, more than 50 authorized dealers and four distinct divisions under a common platform, path and vision, while still allowing each to function autonomously as needed. The new structure enables Vector Security to identify opportunities and adapt faster so that it can better serve customers. It also provides a consistent company experience among locations. ● Dedication to Employee Advancement: Vector Security is committed to employee education and opportunity. This past year, it spent more than $1.2 million on training initiatives, including management programs, industry certifications and Vector University (a vehicle for managers to understand the global Vector Security enterprise), among others. This investment has had a trickle-down effect into employee satisfaction. The company promoted more than 97 employees from within in the past year and boasts an average tenure company-wide of 7.9 years. ● Passion for Customers and the Industry: Vector Security seeks what's best for customers and the industry. As examples, the company is leading the charge to modernize the way central stations operate and communicate, and championing the Automated Secure Alarm Protocol (ASAP) standard, which calls for the electronic data transfer from alarm companies to 911 centers. ● Innovation: In recent years, Vector Security expanded its residential product offerings to include automation packages in response to evolving consumer needs. It also launched an online store, which spiked home automation adoption rates from close to 40 percent to 85 percent in 15 months, and branded its Alarm.com service with a Vector Security app through Apple and Google Play. On the commercial side, it acquired Industry Retail Group in 2013 to add managed network services (e.g. broadband aggregation, edge device management and network management) to its product suite. This enables the company to provide a unified solution that combines intrusion, video, burglar and fire alarm systems with a secure network - all managed by a single entity.